Nicely situated, updated 3 Bed 2 Bath home located near HWY 180. Laminated wood flooring in Great Room, Kitchen and hallway. Kitchen features white painted cabinets, corian counters and stainless steel appliances. Ceiling fans in Great Room and all bedrooms. Master Bath has shower and secondary Bath has tub. This is one of those hard to find easy commute homes, and it sits on a premium piece of usable, fenced, and cross fenced land. The land is gently sloping, and has a good amount of native oaks, as well as a walnut. apple, apricot, and citrus. 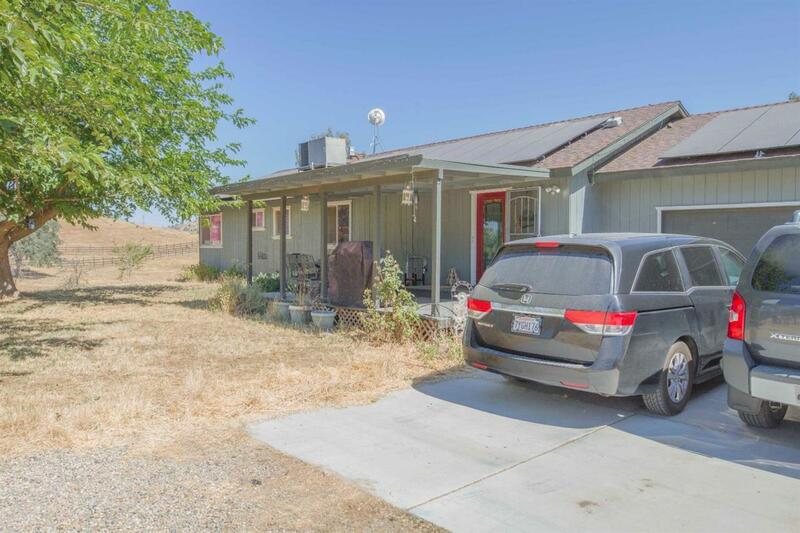 Many upgrades have been done to this home, including updated windows, solar, flat work, storage sheds, upgraded insulation, no climb interior fence, animal shelter, RV parking, raised beds, and more. This property is ready for your family and animals to move in. Seller has Solar with $0 PG&E. Buyer would need to payoff or refinance solar into their name.